When I was in kindergarten, I was in ballet class and I loved it, mostly because I would get to goof off and there was a “free dance” period every so often where we would all get to goof off because we were five- and six-year-olds. My mom sewed extra flowers into my leotards and I did exactly one show. I never went back to ballet or dance after that, and I think that was the right call for me (although I believe with the full extent of my being that I would love being a backup dancer and I could do it if I quit my job at Jezebel today and started practicing). But one thing that never crossed my mind until today was how pointe shoes aren’t designed to match my skin tone or the skin tone of anyone darker than a pearly white. But now, the largest ballet shoe supplier is offering a solution, as the New York Times points out, almost 200 years after the pointe shoe first came into existence. Freed Shoes now sells pointe shoes in bronze and brown. Although they aren’t the first supplier to do so, it signals a not-so-minor change. 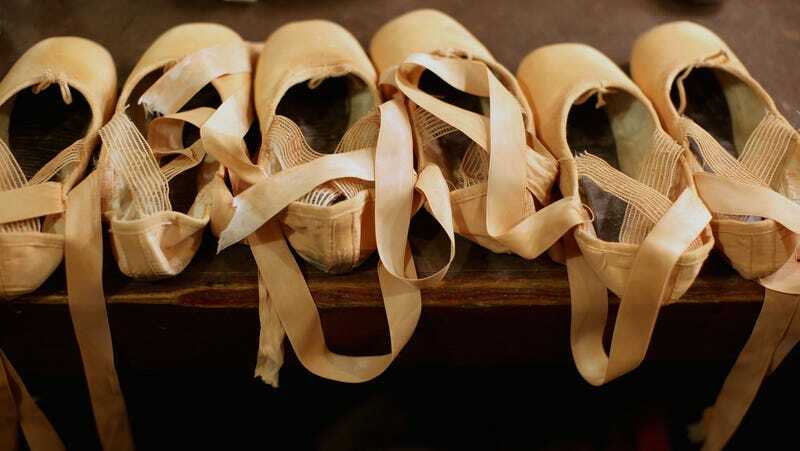 Brown pointe shoes haven’t been widely offered in the ballet world so far—despite the fact that pointe shoes are meant to “blend in with the leg” and not “break the line” of dancers’ legs, as the Times notes. For black dancers (which are still depressingly rare in ballet), that means that the regular off-white pointe shoes are visually disruptive and many have taken to dyeing their pointe shoes with makeup to achieve a natural look. Johnson told the Times that when she started doing that in the ’70s, some 20 years after she started dancing, she felt that “It was quite wonderful to be onstage and just to be myself, 100 percent the color I was.” Which, yeah, sounds really nice. Truly, this probably wouldn’t have taken this long to fix if the ballet world hired more black and brown dancers to begin with, because then the industry would have to open up to and accommodate their needs. But it’s nice to see it finally happen now.